(Entry was posted by Lauren Miller on this post in the Dumb SEO Questions community on Facebook, Thursday, February 22, 2018). Can any help me about "xml sitemap" as my eCommerce website has more than 100 pdf file and each pdf file is a catalogue of products that created by product`s manufactures that means all pdf that are linked with my website are actually created by product`s manufactures. Que1: Can I add all pdf to my xml sitemap? Que2: Can I upload my xml sitemap without pdf? 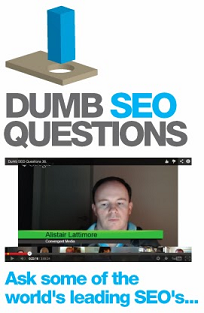 View original question in the Dumb SEO Questions community on G+, Thursday, February 22, 2018). What are the basics ahead of typical SEO? What best URL structure for SEO? Will ahref lang tag fix any duplicate content issues? Google knowledge graph or GMB which is better? How important is to have hosting in the same region or country for SEO? Does Google discontinued news_keywords meta tag? Can you use different location schema for separate location pages on a site? Can having a single page site hurt your SEO and ranking factor? Can Google PageInsights offer significantly different results depending on where the user is? But what about when the URL slug gets really, really long? What`s could be the best SEO strategy for a B2B startup? Google My Business displays "unresponded reviews"
Is rel=publisher link still relevant? How should the silo look like? Is it alright for a single-page website to have multiple h1 tags? What`s the latest word on exact match domains for SEO?